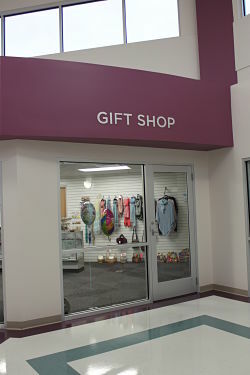 The gift shop located in Fayette County Hospital is not your typical hospital gift shop! 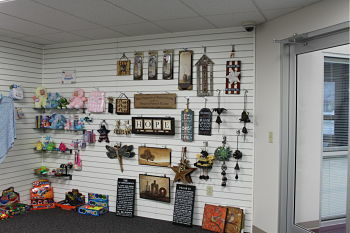 It offers a variety of items including purses, home decor, jewelry, balloons, baby & children gifts, candy and of course greeting cards for any occasion. The gift shop is open to the public and the staff will be happy to assist you! 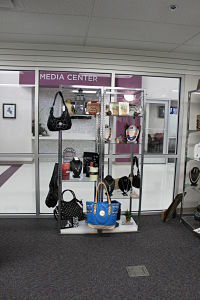 New shipments of items arrive weekly, including many beautiful purses. 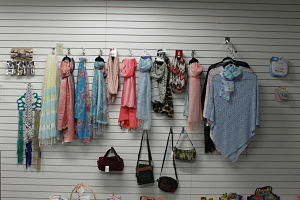 The gift shop is so wonderful due to the caring and dedication from the hospital auxilary members who staff it. Proceeds from purchases made in the gift shop go to the hosiptal auxiliary. Be sure to stop in and visit the "not so typical" gift shop. Open Monday-Friday 9am to 4pm with extended hours during the holidays. Browse our gift shop below! 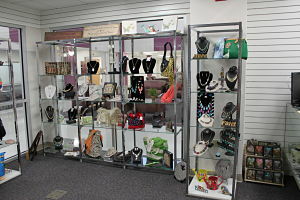 Purses and jewelry for any occassion! There is something for everyone! Including: Scarves, Pet bowls, Cardinals & Cubs items, Photo frames, Kitchen towels and even some Outdoor Lawn & Garden decorations. 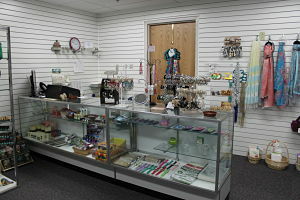 They have lots of beautiful jewelry available including: necklace and earring sets, rings, watches & bracelets! Need a nice gift for a loved one? We offer many different home decor items with heartfelt messages or pick out one of our wonderful angels.